An ICNC-moderated webinar discussion brought together four Ukrainian guests with backgrounds in academia, journalism, activism, and policy to talk about the political conflict in Ukraine. A number of false narratives have emerged that branded the Maidan Revolution as violent, driven by radicals and external powers. After the invasion of Crimea and its annexation to Russia some commentators suggested that the outcome of the referendum reflected the preferences of the majority of the Crimean population and the political change represented by the annexation of Crimea to Russia was in fact engineered peacefully, which contrasted with the supposedly violent nature of the Maidan Revolution that brought down the Yanukovych regime. This webinar addressed the prevailing misconceptions that emerged around the conflict in Ukraine. It discussed the origin, goals, strategies and tactics behind the Ukrainian Maidan movement, as well as its composition and its responses to the state-sponsored repression. Webinar discussants talked about the role of a violent minority – a radical flank in the movement – and reflected on the impact of external actors in the Ukrainian struggle. How, and more importantly why was the Yanukovych regime ultimately brought down? In the final part of the conversation, the speakers offered their views on the ongoing mobilization of the Ukrainian society against Russia’s annexation of Crimea, and against a possible Russian invasion of other parts of Ukraine, as well as civic organizing to support but also pressure the Ukrainian government to implement needed reforms. Nataliya Gumenyuk – is a Ukrainian journalist and co-founder of Hromadske.TV, a Ukrainian journalist-led initiative to create public broadcasting in Ukraine. Previously, she served as Head of the Foreign News Desk INTER, one of the most influential TV channels in Ukraine. As an independent, international correspondent, she has reported on major political and social events from nearly 50 countries. During the last few years, she has focused on post-Arab Spring developments in the Arab world. Nataliya cooperates with a number of Ukrainian and international media, including Esquire Ukraine, Ukrainska Pravda, the Ukrainian Week magazine, 1+1 TV, and Open Democracy Russia. 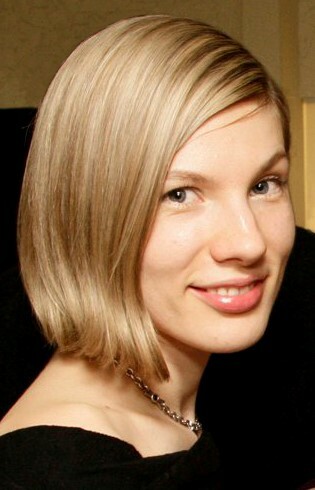 She teaches global journalism at the Kyiv Mohyla School of Journalism. 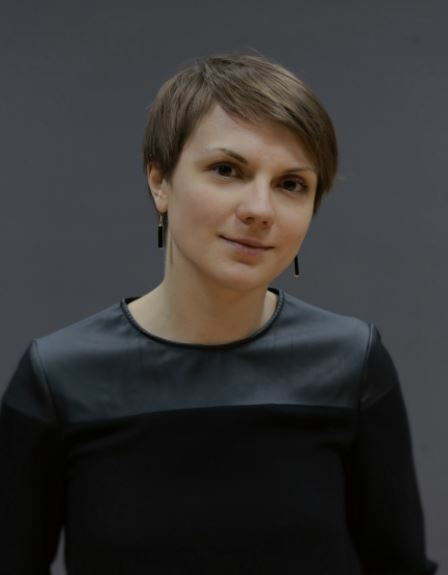 Dr. Olga Onuch (DPhil Oxon) is a Newton Fellow in Comparative Politics at Nuffield College, University of Oxford, and is a Shklar Research Fellow at the Ukrainian Research Institute of Harvard University. She specializes in the comparative study of protest politics, political behavior, and institutions, as well as in democratizing states in Latin America and Eastern Europe. An expert on protests and activism in Ukraine, she is the principle investigator of the Ukrainian Protest Project. She analyses the mechanisms of mass-mobilization in her book entitled Mapping Mass Mobilizations: Understanding Revolutionary Moments in Argentina and Ukraine (Palgrave MacMillan 2014). Her forthcoming book, The Making of Civil Society: The Contemporary History of Social-Mobilization in Ukraine, outlines the political history of activist networks and protest-events in Ukraine since the 1970s. Her research has appeared in numerous international media including Al Jazeera English, The Washington Post, AFP, El País, BBC World Service, Sky News, NPR, IBT, and Radio Free Europe. Follow her on Twitter @oonuch. 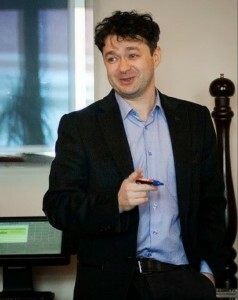 Dmytro Potekhin is a trainer and consultant in strategic planning and nonviolent resistance. He coordinated a nationwide campaign leading to Ukraine’s Orange Revolution in 2004. His training experience includes helping democracy activists in a dozen countries around the world. Dmytro described the nature and probability of the 2014 Russian aggression in Crimea in one of his 2008 publications. He holds an MA in International Relations from the Kyiv Institute of Humanities and holds a certificate with distinction in Democratic Development, overseen by professor Larry Diamond, Director of the Center for Democracy, Development, and the Rule of Law at Stanford University. Dmytro has managed projects ranging from a twenty-dollar start-up to save a historical city object, to a million-dollar project to bring down a dictator. He has also been involved in launching a city FM/online public radio station, and served as correspondent for a major international TV broadcaster. Dmytro does micro-tweeting and macro-blogging. He is regularly consulted on Ukrainian and international affairs by some of the most highly-regarded Ukrainian and international media. He may be contacted at dmytro.potekhin@gmail.com. 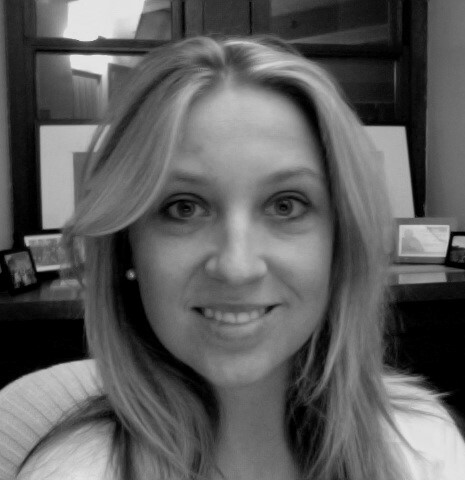 Olena Tregub is a policy expert of the Kyiv-based Institute for Euro-Atlantic Cooperation and a US-based writer for Kyiv Post, the leading English-language newspaper in Ukraine. Olena is also the World Economic Forum’s Global Shaper and a member of Young Atlanticists’ Network of the Atlantic Council of the USA. She has worked as US foreign correspondent for the Ukrainian News Agency as well as researcher on Ukraine for The New York Times. Olena has authored numerous publications on Ukrainian domestic and international politics which have appeared in European and American media. She is also a co-founder of Global Education Leadership (www.GELead.org), an educational consulting group that offers professional internship and study abroad programs for young North Americans in the Central and Eastern European region. Olena has actively participated in pro-democracy and pro-European civic initiatives in Ukraine. She may be contacted at olenatregub@gelead.org . Follow Olena on Twitter: @olenatregub.